This document presents information of how women in many countries are far less likely than men to own property and assets - key tools to gaining economic security and earning higher incomes. Though laws to protect women's property rights exist in most countries, gender and cultural constraints can prevent women from owning or inheriting property. 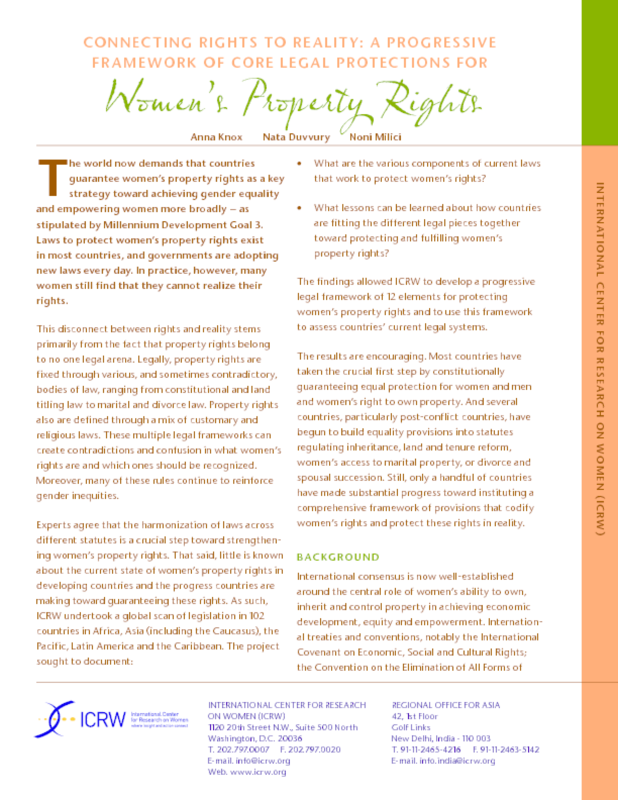 In this series, ICRW suggests practical steps to promote, protect and fulfill women's property rights. Copyright 2007 International Center for Research on Women (ICRW).